Located in the Northwest of the Province of Chubut, Lago Puelo starts from parallel 42º. More than a border, this sector acts as a link with neighboring districts, such as El Bolsón, El Hoyo, Epuyén, Cholila and El Maitén, which along with Lago Puelo make up the parallel 42º Andean Shire. Sheltered by Mount Currumahuida and facing the lake, this place was first inhabited by the Mapuche people. And it was them who gave the area the name of Puelo, which means “eastern waters” or “the end of the road". Even if the area had already been mentioned by the Spanish expeditions from the XIX century, it was not until 1928 that the first town council was created. At present, the municipality has 5,500 inhabitants and includes the districts of Las Golondrinas and Cerro Radal. The milestones setting the border with Chile lie only 7km to the West; to the North, it stretches up to El Bolsón and to the South, it borders on the Lago Puelo National Park. This protected area preserves the leafy Valdivian Forest which enters Argentina through the valley formed by Mounts Aguja Norte and Aguja Sur. In turn, Lake Inferior, called Interior in Chile, receives the tributaries from all the basin which empties into the Pacific through the Puelo River rapids. Lake rides, strolls and horseback excursions within the park cirucuits, as well as adventure sports such as river rafting and rock climbing may be practiced in this scenery. Furthermore, the lakes and rivers are chosen by lovers of fly-fishing in search for rainbow trout specimens. A particular micro climate, generated by its location in a valley spreading from North to South, only 170 masl, offers more favorable average temperatures in the winter and appropriate weather to enjoy its lush nature during the rest of the year. Likewise, even if rainfalls are plentiful in the winter, temperatures reach 32º C in the summer, turning Lago Puelo into the ideal bathing resort of the Shire. Considered a refuge in nature by its dwellers, the community organizes “The Forest and its Environment´s” National Festival every year. On the other hand, like other districts in the area, its economy is based on tourism and the production of fine fruit, mainly cherries, strawberries and raspberries. 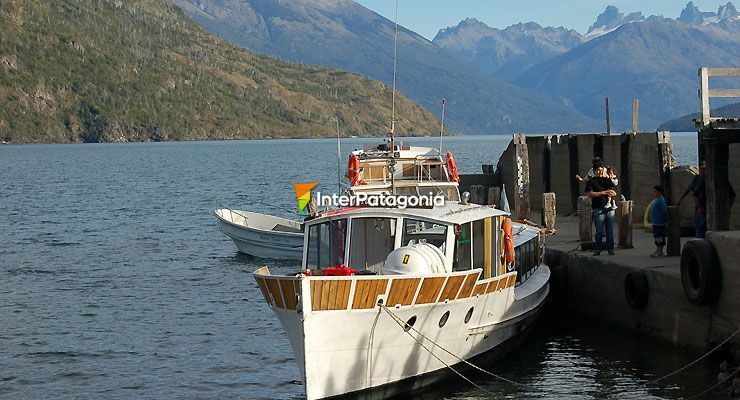 Lago Puelo may be accessed by air through the Esquel or the Bariloche airports, from where shuttle services transport visitors along a paved road to the district in less than two hours.